So it is fig season in southern Louisiana. Most of us down here, either have a fig tree or know someone who does. And anyone of us from around here also has great memories of figs. My great grandmother, down the bayou, had a fig tree. She’d pick them every year, and leave a big bowl in the fridge for everyone to munch on. 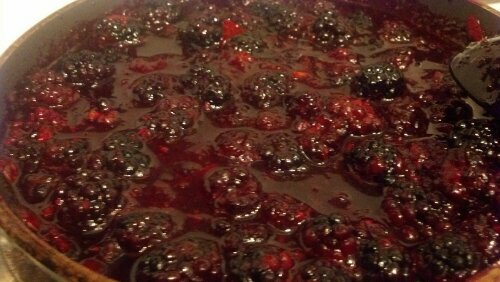 She made the best fig preserves too! It really makes me want a fig tree in my mom’s backyard. Unfortunately, we have dont have much room for plants since there is a pool, but I will live! I had to try this recipe twice to get it right. The first time was okay, but I knew it could be better and less greasy! This is a more involved recipe than most of the ones I post too. I will say it was worth the effort. 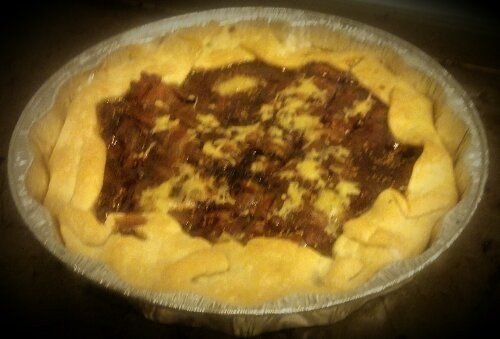 Directions: First of all, I made a bacon weave top to this pie. The easiest way to do this is to lay tinfoil on a cookie sheet and weave your bacon on there so it can go straight into the oven. 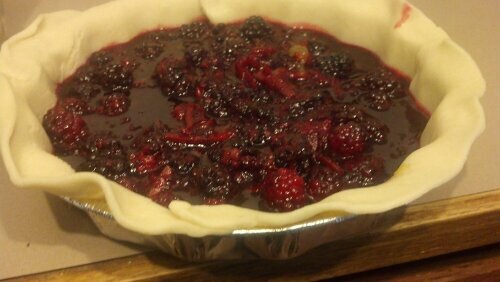 It should look sorta like this but on your pan not the pie. Bake in the oven at 400° for 10 minutes. Drain the pan of the extra grease and flip. Bake again at 400° for another 10 minutes. This is the best way to get nice criso bacon, and your pie won’t be full of grease like my first try where I just broiled the bacon on top. While that is baking you can make your filling. Cut and quarter all your figs. 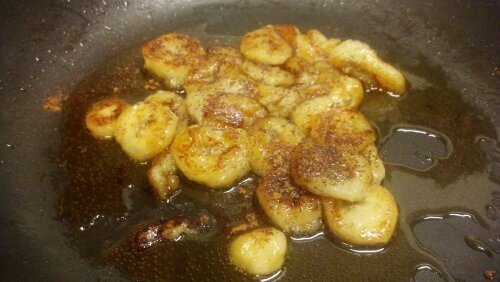 Toss into a saucepan, add your sugar or fig preserves. Cook on medium heat til your mixture is at a boil, then reduce to low heat. Place your crust in pan, pour in the filling, sprinkle the cheese on top. 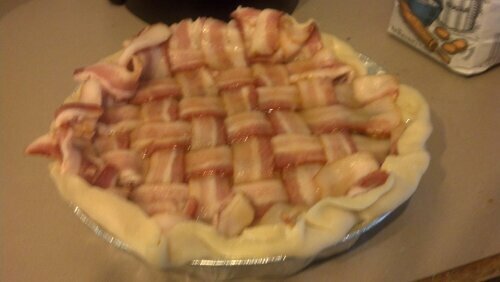 Cover with your bacon weave pie top, and fold over the pie crust. Bake as per the crust instructions. The bacon should not burn but keep a watchful eye on your pie. 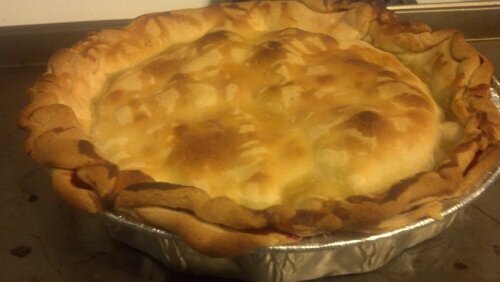 – Smoked gouda is not required for this pie. Other cheeses pair well figs too, but gouda has naturally smokey flavor and even more so if you use smoked gouda. Suggestions for other cheeses are goat cheese or cream cheese.